Should Fly Tippers Go To Prison? We learned last week that a Peterborough man has been sentenced to a week in prison for fly tipping a stinky freezer in beautiful countryside in Northamptonshire. The Judge felt that his only option was to send the man to prison as 'it was unlikely costs would be recovered'. (Read the full story in the Peterborough Telegraph). Is jail time ever the right response to fly tipping? I think not, and I'll explain why. According to Prisoner Focus Education, it costs £65,000 to imprison a person once police, court costs and all other steps are taken into account. After that, it costs a further £40,000 for every year they spend incarcerated. Why do people fly tip? I've seen a lot of fly tipping around Peterborough. I've come to the conclusion that there are four different types of fly tipper messing up our city. Let's be honest. At one time or another many of us have decided that we can't wait for the council, or can't easily get to the recycling centre in Dogsthorpe and so have fly tipped our rubbish and hoped to get away with it. Out of sight, out of mind. It happens. Someone's doing it. If not you, then someone you know, and maybe someone you least suspect! Take the example highlighted in the Peterborough Telegraph of the man who fly tipped the stinky freezer. The stink was apparently so bad that the van he used to transport it in had to be 'condemned'. So even before the freezer had been dumped a poor decision had been made. If the guy had called the council he wouldn't have gone to prison for a week, wouldn't have a criminal record and would still have his van! Absolutely crazy. And yet it's a risk that many people are taking. Some people know full well that fly tipping is anti-social and illegal and do it anyway. Some of these people are rogue traders who routinely prey on residents by knocking on doors and offering to take their larger items of rubbish to the recycling centre for what seems a reasonable fee. The problem is, unless they have an appropriate commercial licence and operate their business in a law-abiding manner, there's every chance these people will fly tip your rubbish. If the police are able to discover that the rubbish belonged to you then you are responsible for it and you are going to find yourself in a lot of trouble. Rogue traders are a matter for the police and if you suspect a rogue trader has tried to persuade you to allow them to get rid of your rubbish the police will appreciate a call on 101 to let them know about it. A lot of the fly tipping that we see around Orton is clearly house clearance. Some of it may be rubbish dumped by tenants or homeowners who are moving out and haven't made any arrangements to transport the items they no longer want to the recycling centre. However, many landlords will need to do a house clearance before they can move new tenants in, either because the previous tenants have left things behind or because fixtures and fittings have been left in such a poor state that they must be disposed of. All landlords know of their responsibility when it comes to house clearance, yet it is obvious that some are fly tipping their rubbish (or the companies they subcontract for house clearance are fly tipping it). If you see this happening in your street, report it to the council on 01733 747474. There are also residents who genuinely do not know what to do with their bulky waste and end up fly tipping it because they don't know what else to do. Before you cry 'You're too soft, Julie! ', please consider this. Not everyone has the skills or the confidence to talk to the council about coming to take their rubbish away and not all have the means to take rubbish to the recycling centre themselves. These people need more help. In our highly disposable society, where furniture and furnishings are not made to last, they need to know what to do and how to make it happen. They will benefit enormously from a clear council information campaign, backed up with measures to make getting rid of large items EASY to do. More about this at the end of this article. The charges are to blame! Many people in Peterborough will say that fly tipping has got a lot worse since Peterborough City Council (PCC) began charging a £23.50 fee to take away bulky items. I don't doubt that this is true and I believe that residents should keep telling PCC that you are unhappy about the charge. I can assure you that a Green Party city council would take a different view on fly tipping because we believe that placing additional charges on residents for things they find difficult to do without help is not acceptable. People are also, very understandably, annoyed at being asked to pay an additional charge to have their brown (garden waste) bin emptied. Many people simply can't afford this charge (£39 per year) and, as with the bulky item charge, there is a strong argument that the cost of this service should be covered by the council tax charge. Are you happy to pay £39 per year to have this emptied? I don't believe prison is the right place for fly tippers. I believe the right place for fly tippers is out in the fresh air on community service, clearing fly tipping and learning how fly tipping harms communities and our natural environment. Peterborough Green Party organises a litter pick somewhere in the city once a month at 10am on a Sunday morning. Join us and I guarantee that you will never feel the same way about litter and fly tipping again. Check out our Facebook page. 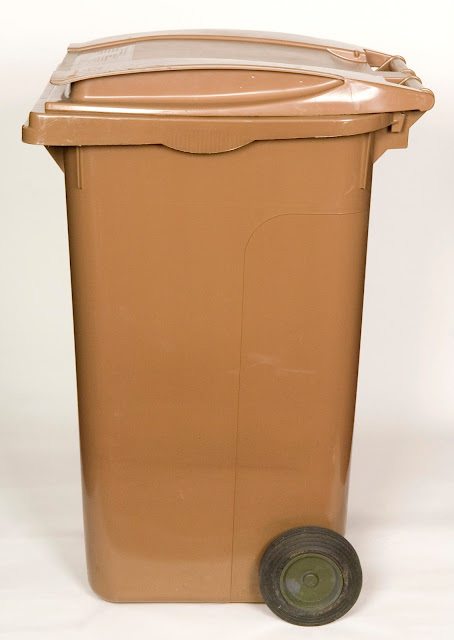 If you have bulky waste that doesn't go in the back bin please take it to Household Recycling Centre at Dogsthorpe. If you can't get to the Household Recycling Centre, for £23.50 PCC will arrange to collect some bulky items from you. More information about the PCC service. If you spot fly tipping, report it to PCC by calling 01733 747474 or us the My Peterborough app or FixMyStreet. We don't have to put up with fly tipping Peterborough, but we do need to take collective responsibility for it. That means disposing of our own rubbish responsibly and reporting to the council any fly tipping that you come across. If you feel that PCC should do away with the £23.50 charge for collecting larger items and/or the £39 per year charge for garden waste then let your city councillor know. Many people feel that fly tipping in Peterborough got far worse when PCC introduced the £23.50 large item charge and a time-consuming and inconvenient permit scheme for taking rubbish to recycling centre by van. If you think these charges and/or the permit scheme are unfair, tell your councillor. 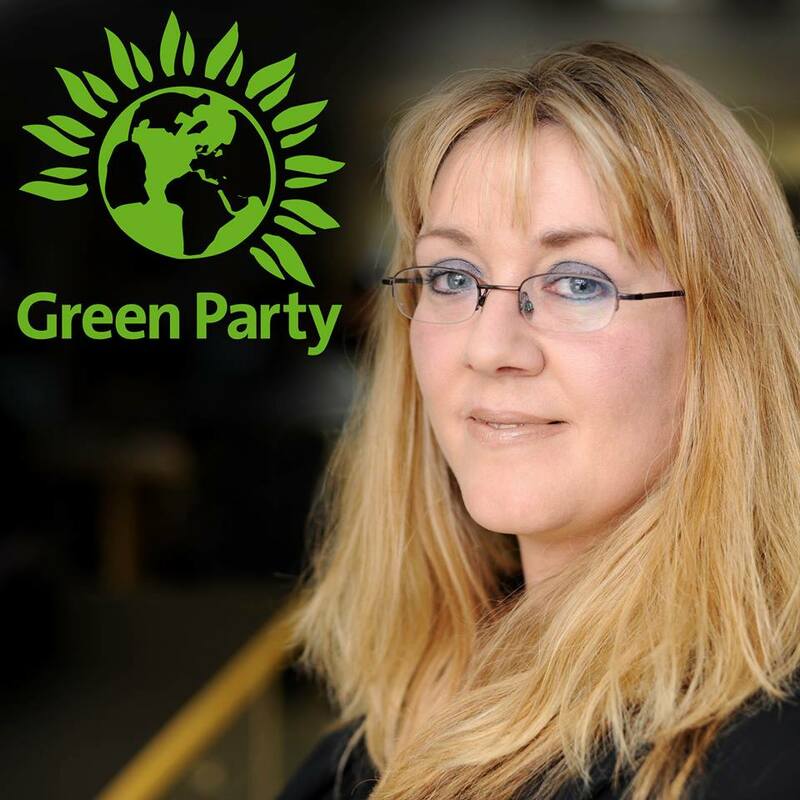 Peterborough Green Party believes there is another way to tackle fly tipping in communities and that is through the provision of community skips. 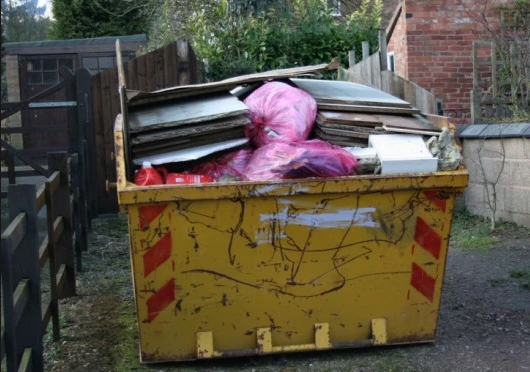 The idea is to place a skip in a community for a few hours, publicise it well so that residents know it's there and can make arrangements to get their items to the skip, and make sure that there are security measures in place to prevent misuse of the skip. There are plans to trial such a skip in Orton Goldhay this April. Nearer the time I will tell you more about this free service and will be asking for your help to make sure that everyone knows about it. Together we will make the amnesty a success and send out a strong message to everyone who lives in, has property in or who visits Orton that fly tipping is not acceptable here. This blog you're reading right now is my personal blog about life as a Green Party politician living in Orton Waterville ward in Peterborough, Cambridgeshire. 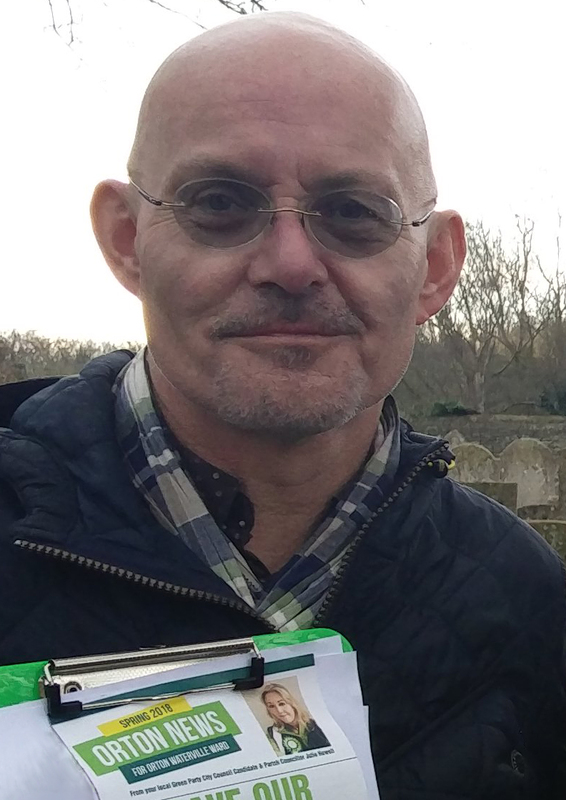 As well as being leader of the Green Party in Peterborough with my esteemed and very wise colleague Roger Proudfoot, I'm a parish councillor in Orton Waterville and also in Orton Longueville and I'm also the membership secretary for Peterborough Neighbourhood Watch. How do I manage to keep so many plates spinning at once? By giving up my work (I'm a confidence coach) for a couple of years to concentrate fully on community work. You may also have picked up from my other posts that I've had multiple sclerosis for 26 years. While not a 'job', MS is something I must also factor into my daily life. My life to date has been rich in varied experiences while I've dedicated myself to furthering disabled people's rights and improving life for everyone in my community. 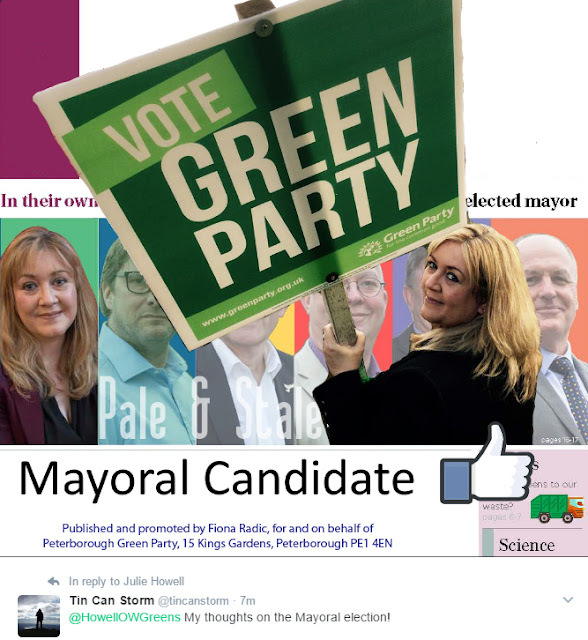 This year, the richness, variety and nature of my life hit a new peak when Cambridgeshire Green Party members chose me to be the Green candidate to stand for election as Mayor of Cambridgeshire and Peterborough on 4th May 2017. I'm not new to elections, pressure, representation, community work, listening or any of the traits and qualities that a politician should have. For me, this is an opportunity to do exactly what I've been doing in my local community, but even more so. That said, as responsibilities go, this is a huge one. It promises to be a bumpy ride and one that I'm very happy to share with you. I'm also keeping a detailed diary of the entire experience. I've only been writing it for a few days and already it's a ripsnorter. 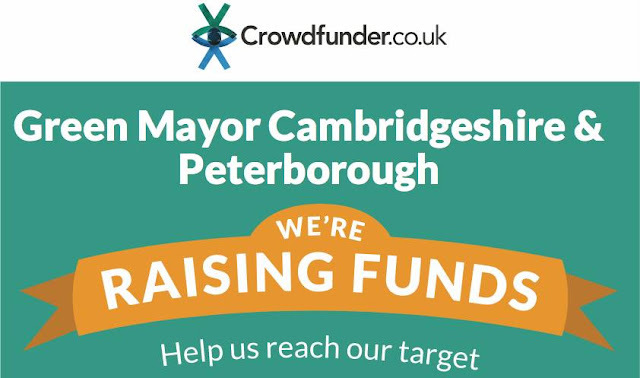 Why a Mayor for Cambridgeshire and Peterborough? As part of a 'devolution deal' struck between central Government and the six Cambridgeshire councils and Peterborough unitary authority, the position of mayor has been created. You can find out more about the Mayor's responsibilities on Cambridgeshire County Council's website. The Mayor will be selected by an election on 4th May. If you are registered to vote then you can vote for your choice of Mayor. Important: In this election every vote will count. It is not like a general election where the county is divided into wards. This is one Mayor for the whole county and when you vote your vote counts as one vote towards the selection of that Mayor. You really do have the power in your hands this time. There are (at time of writing) seven candidates. 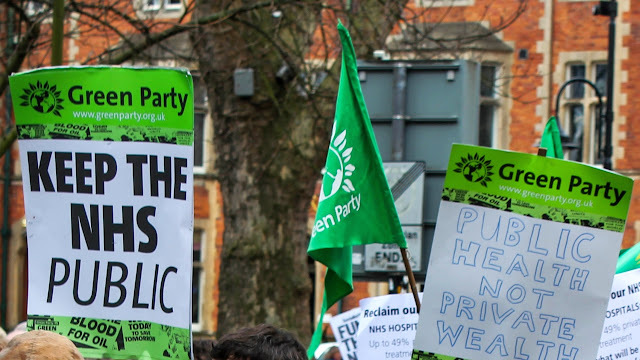 I'm standing for the Green Party and there is one independent candidate plus a candidate from each of the following parties: Labour, Liberal Democrats, Conservative, UKIP and English Democrat. I encourage you to find out more about what each candidate stands for before you vote. The Green Party is the political arm of the 'green movement' and as such the party exists to fight elections. Our parties in Cambridgeshire and Peterborough talked to one another about this election and decided that we would stand a candidate for this reason. There was then a 'call for nominations', during which I put my name forward, a hustings (where candidates answer questions from Green Party members) and then a ballot. In the event of this election, I was the only nominee, although members had an opportunity to vote to 're-open nominations'. At the end of the process, 97% of members who voted chose me and so I was officially declared the Green Party candidate. It's important to note that there are council elections right across Cambridgeshire this May but not in Peterborough (which is a unitary authority and has local elections in 2018). I live in Peterborough, hence I have the time and energy to devote to the campaign where colleagues elsewhere in the county at present do not. That said. I warmly encourage more people to stand for elections. It is daunting, I cannot tell a lie! But the county needs more Green voices. So if you're wondering whether you'd make a good Green Party candidate for future elections, come and speak me. Any election gives us additional opportunities to bring the public's attention to green issues - not only issues about the environment, but social justice issues too. You already know how much I care about human rights and fairness. I'll be campaigning for these as well as campaigning strongly for environmental issues during my campaign. The Mayor will have specific responsibilities for housing, transport and growth as key areas and the list of responsibilities is likely to increase over time. For now, you will find the list of responsibilities on the Cambridgeshire County Council website. However, a Green Mayor will stand for much more than this. At the launch of my bid to become the Green Mayor of Cambridgeshire & Peterborough, I listed out just some of the things that a Green Mayor stands for. 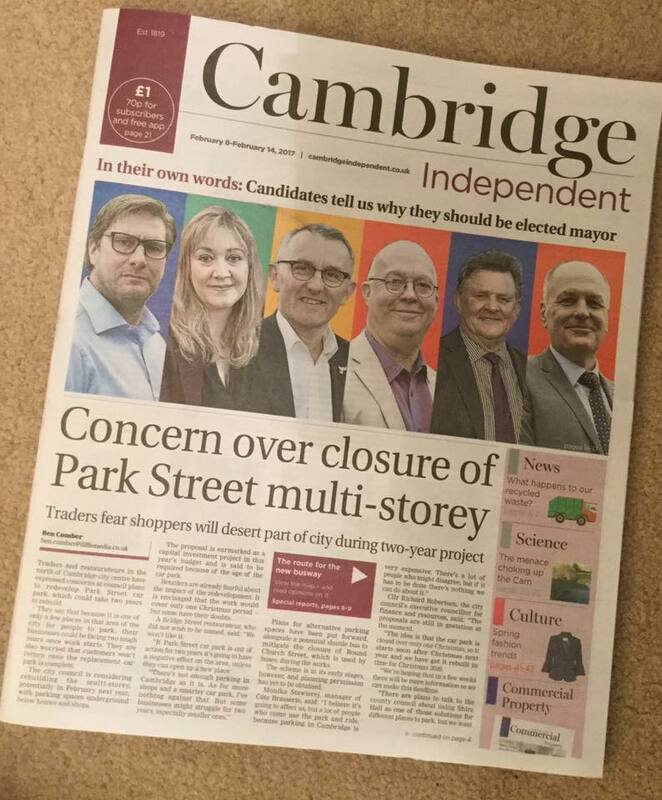 I could easily go on but I hope this gives you a sense of what I feel this election is all about, which is making the right decisions for Cambridgeshire for all of our residents. Accountability Greater accountability and the creation of an assembly much like the London Assembly to scrutinise the work of the mayor. We want a proportionally elected cabinet for Cambridgeshire overseen by a proportionally elected county council. We want representatives of local communities, small businesses and union reps involved to scrutinise and to make policy suggestions. We want meetings to be widely publicised, open to the public and webcast with minutes available online. As the mayoral budget and powers increase, so should the level of scrutiny and democratic involvement. Transport A sustainable transport system for Cambridgeshire that works for people with two wheels and two legs or two wheels and no legs and is not all about the car. Housing A housing strategy that doesn’t condemn people to live cheek by jowl in accommodation that fails hopelessly to meet their needs, harms the environment and makes community impossible. An increase in council and social housing in villages so that people born there can afford to continue to live there. If you agree with what I stand for then please vote for me! It would also be extremely helpful if you would 'like and share' my posts on social media. I worry that few people know about this election and even fewer care. You should care, because what the Mayor will do will affect all of us. A few years ago my world very rapidly fell apart. I had a good job that my boss assured me would always be safe, and a house with the steep mortgage which my dad told me was the best kind of house to buy. Two years later, my dad was dead and I'd lost my job. I had no mortgage insurance. It's very hard to get mortgage insurance if you have MS. The premiums are high and the chances you'll even get a payout when you actually need it are low. So said my financial adviser when he arranged my mortgage. What followed were four years during which I tried every day to get a job or otherwise support myself with freelance work while desperately trying to keep up my mortgage payments. I couldn't afford to heat the house so I didn't and I couldn't afford to buy food very often either. On one occasion, I was in a meeting with a business associate who could hear my stomach rumbling. She asked me when I'd last eaten and I answered 'not today'. She very kindly went to the local convenience store and bought me some fruit and potatoes. I took the picture you see above when I was down to the last potato. Looking at it now it seems wretched. 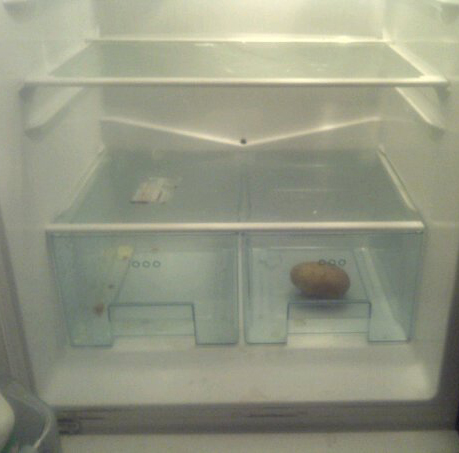 But at the time that potato was a meal and I was so grateful to have it. After four years my circumstances changed. I lost the house (in the end I couldn't keep up the payments so was forced to sell it) but I came back to Peterborough to a roof over my head, no more crippling debt and food in the fridge. Lucky because I was able to get out of that situation eventually, but also lucky to have experienced it. I've never been particularly materialistic or wasteful, but I'd never had to think about whether I was materialist or wasteful either, until I lost my job. I now regard everything, housing, heating, food, money differently to how I did before. For a long time I was afraid of it. And when I was safe again I was afraid of it even more, the fear of loss being as scary as loss itself. With the passage of time I've developed a respect for things again but I'm now far less wasteful that I was before. I now cook entire meals with food I'd have thrown out for scraps in the past. I regard people in debt or without an income with far greater compassion, because I know what it is to be stuck in the poverty trap. Fortunately, I had a house I could sell and I was able to sell it. Many people in my situation do not and face no realistic possibility of climbing out of poverty without a great deal of practical help and support. Being so poor that you can't feed yourself properly and so poor that you can't put the heating on in winter and so poor that you can't afford the roof over your head is exhausting. Every day, I had to find the strength to look for work when I had no strength. Some days, I would dread going to sleep as I dreaded waking up into the same misery. Human experience is rich in lessons, but when it comes down to it some of us get lucky breaks and some of us do not and the luck is not evenly or fairly distributed. 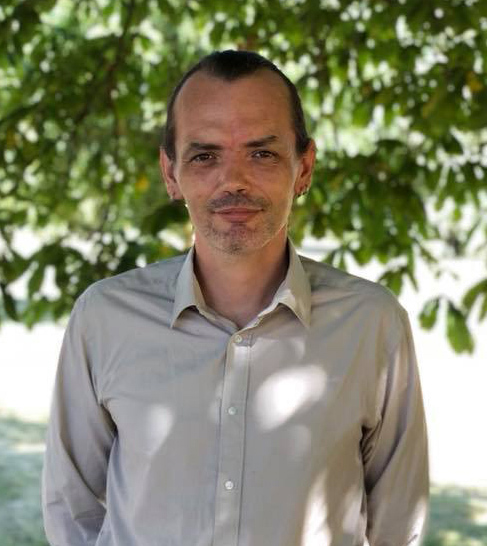 When I came back to Peterborough I decided that I'd like to take some time working in the community rather than earn a living because I haven't forgotten that feeling of hopelessness and nor do I want to. That feeling is the thread of humanity that connects me to other people who are struggling and reminds me that the bad things that can happen in our lives are sometimes through no fault of our own. If you're lucky like me I urge you to spare a thought, some time, and a little bit of money for people who are down on theirs. I'm quite sure that there are many more people living in poverty and hardship than are accounted for by the Government. If someone you know has lost their job, even if you think they are probably alright, invite them for a hearty meal. If they say no they say no - sometimes it's hard to face other people when inside you are falling apart. But do offer. If you don't know a friend in need then Peterborough Food Bank will be grateful to receive your donation. My friend's bag of food fed me for nearly a month but the kindness continues to sustain me. Thursday 2nd February 2017 was Time to Talk Day. Time to Talk Day is organised by Time to Change. Time to Change is an initiative led by two mental health charities, MIND and Rethink Mental Illness. Time to Change describes itself as 'a growing movement of people changing how we all think and act about mental health'. I welcome Time to Talk Day. In fact, I welcome all conversations about mental health. I'm very proud to be associated with any effort to encourage men and women to talk openly about their mental health. Time to Change tells us that one in four of us will experience a mental health problem every year. I'm surprised the figure isn't higher. Our modern lives are stressful. How many of us are sufficiently equipped to look after our own mental health properly? I was diagnosed with depressive illness in 1990 when I was aged 19. This was around the same time as the first obvious symptoms of my multiple sclerosis appeared. I tend to think of my depressive illness and my MS as two sides of the same coin. They interact with one another. Sometimes both are present, sometimes both are absent. While I can't 'control' either of them, there is much I can do to manage life with them. Mental illness is misunderstood and I believe this is because is still widely feared. We all like to feel that we're in control and feeling out of control, even for a few minutes, is frightening. Because of this stigma, many people delay getting treatment because asking for treatment can feel like 'giving in'. I've mentored a lot of young women. Issues to do with mental health, be it depression, eating disorders or stress often come up in our conversations. It saddens me that schools do not do more to help young people to manage their mental health successfully. Leader of the Green Party, Caroline Lucas MP, is currently trying to get support for a bill to make personal, social, health and economic education compulsory in schools. You can read about it here (and you will note that Peterborough's Conservative MP Stewart Jackson tried to disrupt the progress of the Bill in Parliament). If you experience feelings or moods that make you feel angry with yourself, make you want to be by yourself where ordinarily you would not, or make you want to do things that could harm you, that first big step to getting help - telling someone - can be extremely difficult. So I want to say something really important about that: admitting that you need some help with your mental health is not sign of weakness, it's a sign of enormous strength. Many people never seek the support that would help them because they are afraid of the label. To you I say 'own it'. While there is nothing at all amusing about the symptoms of mental illness, and while the consequences of mental illness can have devastating effects on people's lives, when you are able to start to take control of your mental health you may find a great amount of support and friendship that you never imagined was there. Mental illness is common. Talking about it is not. If there's a stigma around admitting that you may have a mental health problem then there's an even bigger stigma around taking medication. On so many occasions I have heard people talking about medication as if it's a crutch or as if taking medication is somehow giving in. I could't disagree more. In my opinion, the right medication enables people with mental health problems to start to take control again. Not taking medication when you are depressed is like not taking a paracetamol when you've got a headache. You'll survive, but you'll be in greater discomfort that you would if you took the medication. I've taken an tricyclic anti-depressant pill every night before I got to bed for the past TWENTY-SIX YEARS! It's not a crutch. I'm not addicted to it. I take it because it helps me. I'm reviewed every few months and the GP and I decide whether I should keep taking it. I do very well on it and if I feel I should stop taking it then I will. Other than this, I don't give it a second thought. It's just part of how I manage my mental health. I'm also a huge fan of therapy. In particular, cognitive behavioural therapy. Like many women who experience depression, I'm a clever, complex, thoughtful so-and-so and I really enjoy the challenges of therapy. To date, I've worked with eight therapists across my life. Half have been not quite right for me, half have been brilliant and have helped me to change my life for the better. This is important: if you feel that the therapist you are seeing isn't right for you stop seeing them and try someone else. It's really important that you work with someone you can trust as this is a partnership. If you don't like the person or feel they don't 'get' you, switch. This isn't failure, it's common sense. Another approach that I find really helps is mindfulness meditation. I've written about this in an earlier post that you can read here. I know that other people speak highly of 'alternative therapies' such as hypnotherapy, aromatherapy, massage therapy, yoga etc. I've had some hypnotherapy and this was okay, but on the whole I'm not really into the 'touchy-feely, weirdy-beardy' stuff. Perhaps I just don't have the patience for it! But each to their own. What matters is that you find something that helps you and then do that thing for life, if necessary. If you've never sought help for a mental health problem, the best starting place is your GP. You're entitled to a free course of counselling on the NHS and I highly recommend this to begin with. Talk with the counsellor about the various therapies available and explore what will work for you, including medication that your GP can provide. If you don't want to speak to your GP about it then you can talk to a counsellor privately. Private sessions tend to cost in the region of £30-£40 per hour. You can find a therapist near you on the British Association for Counselling and Therapy website. I care about the mental health of other women and I care that other women are helped to find the treatment they need to live lives that are free of the miserable aspects of mental illness. 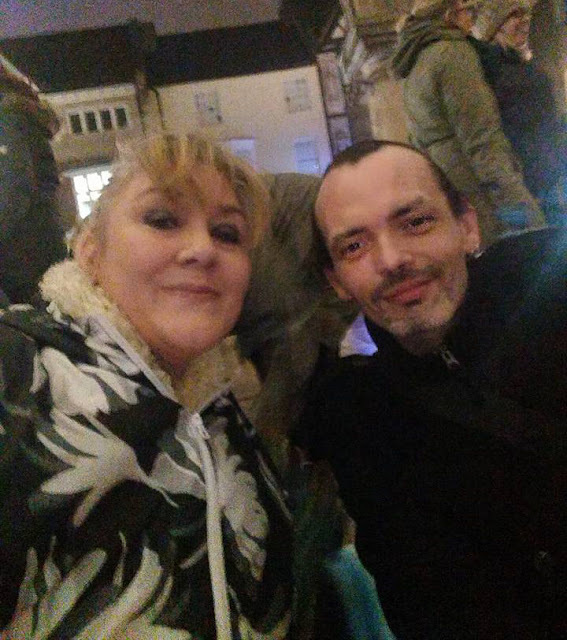 So I was very distressed to hear that a Deputy District Judge in Peterborough has sent to prison a young Peterborough woman who has repeatedly caused disruption to traffic at times when her mental health has been in crisis. I don't know the lady in question and I don't know all the details of her situation. However, I do know that prison is not the right place for people who are depressed. 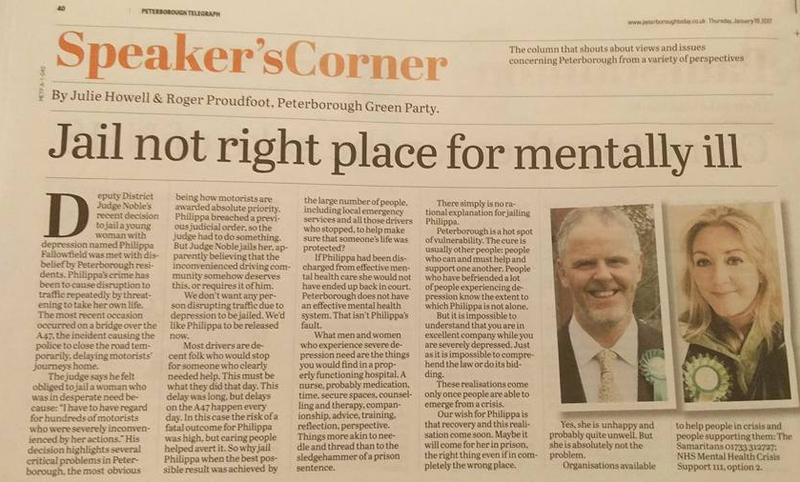 In response to articles in the Peterborough Telegraph, my colleagues Fiona Radic, Roger Proudfoot and I wrote the following article which was published in the newspaper on 19th January 2017 and reproduced below for your interest. It really is time to talk about mental illness. When our mental health is not managed well it can lead to problems but the answer to these problems is never jail. I know I have been fortunate. I find it easy to talk about mental health. Many people don't find this easy and instead of getting help find themselves in great trauma. If this is you, I hope you will find the strength to talk to someone who can help. I struggled a lot with my mental health in my late teens, but I got help and I got better. For me, getting better and staying better is a lifelong pursuit, and that's absolutely fine. I wish for everyone with mental health problems the strength to reach out and hope very much that your strength will be rewarded with access to services that will help you to manage a condition that should have no stigma and isn't your fault. Deputy District Judge Noble’s recent decision to jail a young woman with depression named Philippa Fallowfield was met with disbelief by Peterborough residents. Philippa’s crime has been to cause disruption to traffic repeatedly by threatening to take her own life. The most recent occasion occurred on a bridge over the A47, the incident causing the police to close the road temporarily, delaying motorists’ journeys home. The judge says he felt obliged to jail a woman who was in desperate need because: “I have to have regard for hundreds of motorists who were severely inconvenienced by her actions.” His decision highlights several critical problems in Peterborough, the most obvious being how motorists are awarded absolute priority. Philippa breached a previous judicial order, so the judge had to do something. But Judge Noble jails her, apparently believing that the inconvenienced driving community somehow deserves this, or requires it of him. We don’t want any person disrupting traffic due to depression to be jailed. We’d like Philippa to be released now. Most drivers are decent folk who would stop for someone who clearly needed help. This must be what they did that day. This delay was long, but delays on the A47 happen every day. In this case the risk of a fatal outcome for Philippa was high, but caring people helped avert it. So why jail Philippa when the best possible result was achieved by the large number of people, including local emergency services and all those drivers who stopped, to help make sure that someone’s life was protected? If Philippa had been discharged from effective mental health care she would not have ended up back in court. Peterborough does not have an effective mental health system. That isn’t Philippa’s fault. What men and women who experience severe depression need are the things you would find in a properly functioning hospital. A nurse, probably medication, time, secure spaces, counselling and therapy, companionship, advice, training, reflection, perspective. Things more akin to needle and thread than to the sledgehammer of a prison sentence. There simply is no rational explanation for jailing Philippa. Peterborough is a hot spot of vulnerability. The cure is usually other people: people who can and must help and support one another. People who have befriended a lot of people experiencing depression know the extent to which Philippa is not alone. But it is impossible to understand that you are in excellent company while you are severely depressed. Just as it is impossible to comprehend the law or do its bidding. These realisations come only once people are able to emerge from a crisis. Our wish for Philippa is that recovery and this realisation come soon. Maybe it will come for her in prison, the right thing even if in completely the wrong place. Yes, she is unhappy and probably quite unwell. But she is absolutely not the problem. Keen followers of my blog will know that I've had a tricky abscess in my mouth since mid-December that has proved difficult to treat. Both my dentist and my GP have given me excellent care during this time. 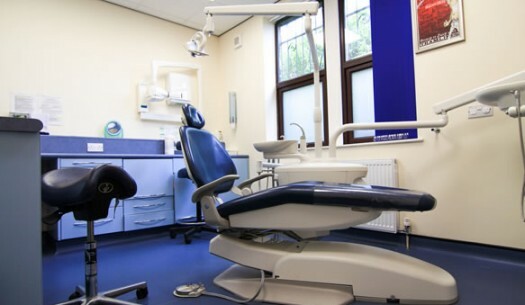 However, three courses of antibiotics have had little effect so my GP decided it was time to refer me to a specialist 'maxillofacial' team at Peterborough City Hospital to find out exactly what is going on. This was my first trip as an outpatient to the 'new' hospital in Bretton, which opened in 2010. I have a couple of chronic conditions, multiple sclerosis being the most significant of these, and have had other reasons to be treated in hospitals over the years, including treatment of changing cells at neck of my womb in the 1990s (I will forever be grateful for the life-saving NHS Cervical Cancer Screening Programme). However, familiarity with the hospital environment doesn't make visiting a specialist for the first time any less daunting. Can we talk about parking? Veteran outpatients know to aim to arrive at least an hour before the appointment because parking at hospitals is traumatic. In this respect, PCH is no different to any other hospital that I have visited. The whole 'parking at hospital' scenario needs a rethink. The air outside most hospitals must be so polluted! 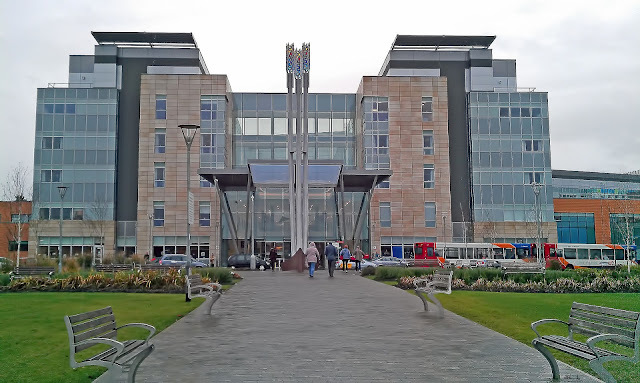 It would be great to have sufficient parking away from the hospital itself with a convenient, accessible and reliable means of transporting patients from their car to the hospital. Something like the transportation that takes you from one airport terminal to another. Better still would be safe, accessible transport as an alternative to the car. I find it absolutely crazy that to get into the hospital building I had to walk through metres of car exhaust fumes and other vehicular pollutants. It's a shame that more thought didn't go into this when the new hospital was being planned. Being a veteran outpatient I arrived on time. The hospital building is vast and the lobby is taken up with shops, restaurants, cash points and car park ticket machines. And queues at all of these. Fortunately, right in the middle at the front of the lobby is a reception desk. I showed the receptionist my letter and she very clearly explained how to get to where I needed to go. It was a short walk to the lift and an even shorter journey to the first floor. When the doors opened I was exactly where I needed to be: at the entrance to the Head and Neck Unit (also known as maxillofacial, but a lot easier to pronounce). After queuing for just a couple of minutes I was able to show the receptionist my letter and she directed me to the xray department around the corner. Having attended many outpatient appointments over the years I have learned that only a fool turns up without a good book. It is the norm that the time you are given has also been given to everyone else the specialist is seeing that afternoon. So it was to my great surprise that before I'd even taken my book out of my bag I had been called for my xray. 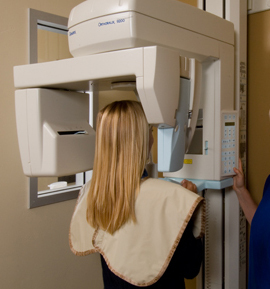 This isn't me but the xray machine was similar to this one. The gentleman who took my xray was very kind and helpful. He must know that patients like me are quite anxious because we don't know what's making us ill and he took care to keep the conversation light and positive. I've been unwell with this problem in my mouth for six weeks, so I've had plenty of time to allow the anxiety to grow. Every member of staff I'd met to this point had been very friendly and that helped me a lot. I know that when it comes to seeing the specialist the calmer you are, the more likely you are to properly take in what the doctor is saying to you, so these little acts of compassion along the way help patients like me a great deal. I returned to the waiting area and was about to start reading my book when a nurse appeared and called my name. I was taken a short distance to a consulting room where I met the doctor who would be dealing with my case. I was invited to sit down. Both the nurse and the doctor were friendly and attentive and spent as much time listening to me explain what was going on as they did speaking to me. This is not how things used to be. Twenty years ago when my MS was a new thing the experience of being seen in hospital was traumatic. The professionals who treated me back then were rarely interested in how I was feeling or what I was thinking, one telling me that he wasn't interested in my depression as he 'only deals with things from the neck down'. Today, the consultant looked at my xray and then invited me to take a seat in the dentist chair so he could have a look at the abscess. He was able to identify what was going on immediately and before I had time to worry about anything I was back in the seat by his desk. He then explained exactly what was going on and exactly what could be done about it and by whom and what would happen and when. He then allowed me to ask all the questions I wanted to and provided reassuring advice and an explanation about what would happen next. I left the room feeling empowered with information that I will now use to put this inconvenient little ailment right. All I have to do now is await his letter which, he told me, will with be with me in about a week. I was examined in a chair like this one, just as you would expect. If you're aged under 30, maybe this sounds like a pretty standard hospital visit to you. But if you're older, then you may recall that visits to outpatient clinics never used to be as pleasant or as smooth as this. Over the years, our precious NHS services have transformed from providing essential care for patients' bodies to providing excellent care to patients as people. When I am treated with dignity and kindness at every stage of my visit to an outpatients clinic my chances of having a relaxed consultation where I hear and understand what the doctor is telling me and where the doctor hears and understands what I am saying is greatly increased. When we both understand one another the chances that I'll receive the best treatment in the most timely fashion are also increased. My first experience of PCH has left me with the impression that this hospital and its staff are committed to getting it right for patients. I've been a patient advocate for many years and what I experienced during this visit is the result of NHS professionals spending decades listening to patient voices. I haven't been to PCH enough times to know if this is normal for this hospital but I've been to enough hospitals to know this is not the norm for every patient in every hospital yet. For me, PCH is getting it right and I extend my heartfelt thanks to the hospital staff I encountered on that day and all those who work behind the scenes to improve the patient experience. The treatment I received that day was first class. However, I am fully aware of the great struggle that the men and women who work our city hospital experience every day due to chronic underfunding. As well as being providers of world class levels of care, they carry on their shoulders a huge burden that they should never have been asked to endure: the worry that without sufficient funding they will not be able to provide the level of care they are trained to provide and that they want to provide to all patients regardless of circumstances and ability to pay. I wouldn't blame those who looked after me this week if they took me aside for a bit of a moan about how the NHS is struggling. But none did. Not because the struggle isn't happening, but because these amazing people put patients' wellbeing first. Save our NHS. Keep it public. Our high quality, free-at-point-of-delivery NHS is not a given and it is under unprecedented threat due to under-funding. The people treating me will make me better. I have no doubt at all about that. But how many of us who rely on the services PCH provides are doing all we can to look after the people who treat us and the services they provide? If you or a family member hasn't been treated in hospital for a while, there's currently a fantastic documentary series on BBC2 that I highly recommend. It is called 'Hospital' and is broadcast at 9pm on Wednesdays. The programme sheds light on the horrendous decisions hospital staff are forced to make every day when faced with a lack of resources to meet the needs of patients. If you've ever felt frustrated by a long wait in A&E or have suffered the stress and disappointment of a cancelled operation, and especially if you haven't and don't know why people like me keep banging on about the NHS, do watch this programme. Huge thanks to PCH for your care. Peterborough is lucky to have you and if you're ever in need of my help, please say so. UPDATE: 28 July 2017: Well, this little episode rolled on for FIVE MONTHS. Eight medical appointments, eight x-rays, four rounds of antibiotics, one tooth extraction and one denture-fitting later and we finally know what the problem was. As well as having MS I have another autoimmune condition known as Sjogrens Syndrome (the tennis player Venus Williams has this too). This means I have dry eyes and a dry mouth. A dry mouth means teeth are susceptible to decay and damage. At some unknown point in the last couple of years I have bitten down and fractured the root of one of my incisors (they're the teeth at the front of your mouth, up above). In December, I had tonsillitis, and it would appear that at this time infection got into the fractured tooth and set to work destroying the bone that was holding my teeth in place. The eventual treatment we opted for was removal of the fractured tooth (goodbye and good riddance). I now have a denture in its place (you would never know). Thank you again to all the medical professionals who treated me during this time. You were fantastic. Last night I joined a group of Peterborough residents in a flash mob of a different kind. We gathered in Cathedral Square in the pouring rain... and sat down. This wasn't a sit-in or a staged protest, though goodness knows there is plenty to protest about at the moment. No, we came to mindfully meditate. The event began at 7pm and lasted for exactly thirty minutes. It was organised by the new Cowgate-based Soul Happy Wellbeing Centre. Well... not really. I wouldn't describe myself as a hippy-type at all. You don't have to be a tree-hugger, wearer of hemp or a vegan to appreciate mindful meditation. Just as the Green Party attracts people for a very wide variety of reasons, meditation is going mainstream as the physical and mental benefits of regular practise have become more widely known. Healthy mind, healthy body, all that. Nor do I. Fortunately, 'thinking about nothing' is not what meditation is. Meditation is not about 'trying' to achieve something. It is a process of noticing but not following your thoughts. Meditation is probably easiest understood when you contrast it with worrying. Worry is when you obsess over a thought. The more you obsess, the bigger the worry grows until you reach a point of anxiety with all the physical (and often dangerous) symptoms that come with feeling anxious. Meditation encourages you to do the opposite. When you meditate you gently focus on something, such as your breathing. As you do this you will become aware of the multitude of distracting thoughts that creep into your mind, such as 'did I turn the iron off' and 'did I do my tax return on time' - daily anxieties that we all have. During meditation, you do not 'follow' such thoughts and get caught up in them. Instead, you notice them, you acknowledge them, but then you let them float past and return your focus to your breathing (or the object or thought that you are meditating on). Sounds easy? Well, the first thing you will notice when you meditate for the first time is just how many pestering little thoughts try to take your attention over the course of half an hour. If you're a highly creative type (like me) the temptation to stop meditating and give attention to the brilliant new thought will be strong. But by learning to let such thoughts go we can gradually discover how to marshal all of our niggling thoughts, so rather than getting ourselves wrapped up in worry, we become people who do things when we need to do them and enjoy restful thought the rest of the time. I meditate a lot. I learned to do it at the feet of mindfulness meditation trainers and have continued the practise on my own for about fifteen years. I have a very, very busy life and a very creative mind that always wants me to do more than the hours in the day allow. I have a tendancy to push myself hard and meditation is a brilliant tool that I use to keep my mental health (and my physical wellbeing) in check. It's a bit like giving your brain a hug. If meditating alone has great benefits then meditating in a group is like being at a huge brain-hugging party (albeit the sort of party where everyone sits in silence with their eyes closed). It's been a difficult week in world politics with protests in many of our major cities. 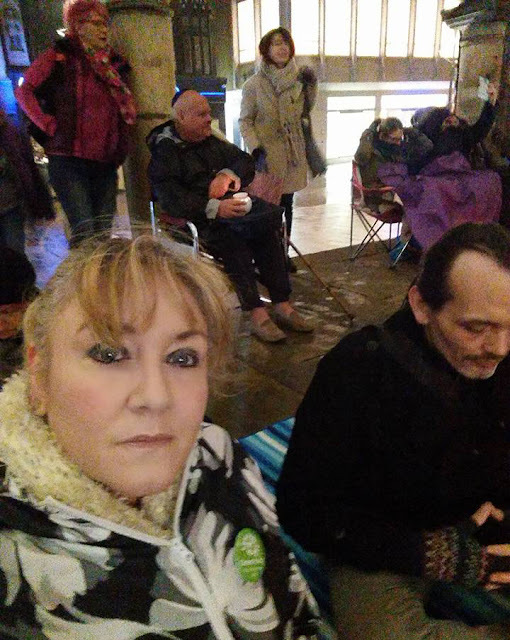 There has been no organised protest to join in Peterborough so I was pleased to find out about the Flash Mob Mass Meditation. I felt this would be a way I could join others in creating positive energy for Peterborough. So last night, at 7pm precisely, I sat with around 40 other people in the middle of Cathedral Square, with a lit candle in a jar, closed my eyes and meditated for half an hour. A thick waterproofed cushion proved essential! Given the process of meditation involves bringing your attention back to your breathing, the mind always wants to think and so thoughts will keep on coming. A few minutes in, something struck me. Here I was, sitting in the middle of Peterborough's Cathedral Square with a large number of people whom I'd never met, in the dark, in the rain and yet I felt completely safe. Thinking about this later, I wondered how this could be, given that the area where I was so peacefully sitting has just been the subject of a Peterborough City Council consultation over plans to introduce a PSPO (Public Spaces Protection Order) there. The PSPO (which you can read here, and I recommend that you do) that the council intends to introduce will require that "Groups are to disperse from an area if requested to do so by an authorised officer if the officer is of the opinion that the group is causing harassment, alarm or distress." The consultation ran over the Christmas and New Year period, ensuring that few people know about it. Its intention is to give the authorities greater power to disrupt and move people whom 'they' don't want there. Like homeless people, I presume. 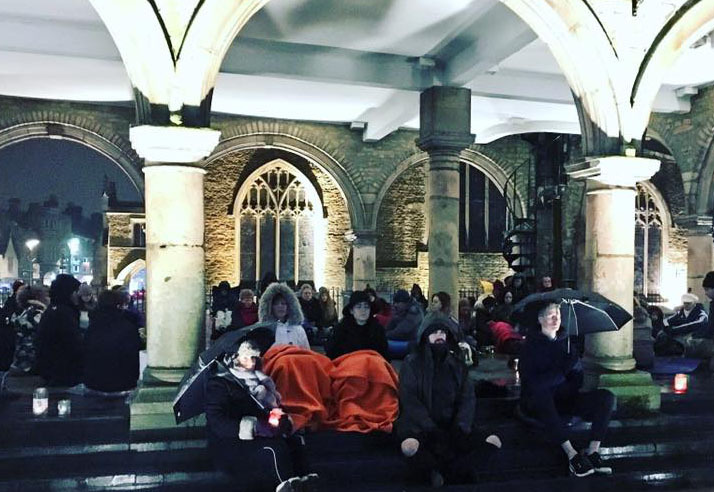 Over Christmas, Peterborough City Council paid a security firm £8,000 to 'provide security' where a small group of people were sleeping rough. Yet during the entire time I sat in Cathedral Square in the dark, in the rain, with my eyes closed, no one caused any disruption or any problem to me or to anyone else through their existence. 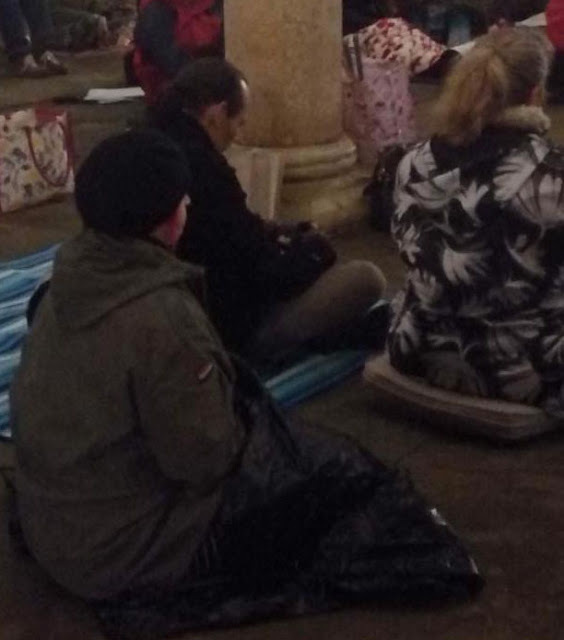 Yes, there were people sleeping rough in nearby St Peter's Arcade. Yes there were people intoxicated nearby. Yes there were occasional shouts between small groups of people. But there was no attempt by anyone in the square to disrupt or spoil what we were doing. In fact, the only disruption I noticed was when a young business woman, so wrapped up in her own thoughts that she didn't notice we were there, made a very loud phone call while stomping across the square. Other that this the mood was calm and the square was quiet (as the video above clearly shows). It would seem that a gathering of local people assembling to bring positive energy to a city centre is just as effective as a PSPO. There's a thought worth meditating on. So what was I doing during the meditation, apart from noticing how safe I felt? I decided to focus on 'Peace, love and strength for Peterborough'. Whenever thoughts about other things came into my awareness I gently brought my attention back to 'Peace, love and strength for Peterborough'. People have different experiences during meditation. Incense was burning and soft music was playing. After a while I began to visualise a column of energising light in the centre of our circle that was full of flowers of different colours, blasting upwards, a visualisation perhaps of the meadows of wildflowers that we hope to create around the city to bring a bit of joy to everyone who sees them. Half an hour isn't long when you're used to meditating. When the time came to an end there was some hugging and then the group dispersed. I spoke to a few people about the experience and all seemed to agree that they were glad to have taken part. Self-care seems to have become regarded as a selfish luxury and a time thief, but it is neither of these things. It's essential to our wellbeing, our general health and our longevity that we look after ourselves and meditation is a free and rewarding way to do that. 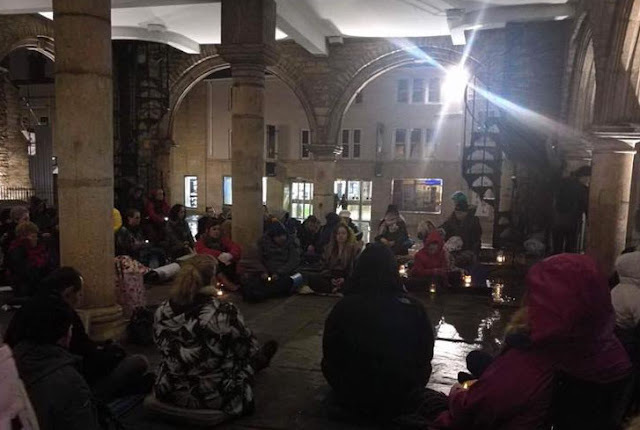 Soul Happy Wellbeing Centre has said it will organise more flash mob mass meditations in Peterborough over the coming months. I'll certainly be there and encourage you to take part too.